Honeybee Entertainment - Home Page. American Blues Producer. Honeybee Entertainment was created in 2004 as a vehicle to support the blues as a vital American art form. We currently produce several concerts yearly and work as an agent for a small roster of artists. As an independent record label, we have four releases. We know you'll love our latest CD West Side Wiggle, a 100% old-school Chicago blues CD featuring both original compositions and old classics. 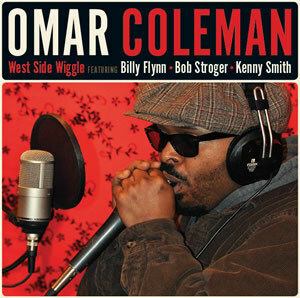 Omar Coleman makes his Honeybee Entertainment debut backed by three of the Windy City’s best sidemen: Billy Flynn, Kenny “Beedy Eyes” Smith, and Bob Stroger. 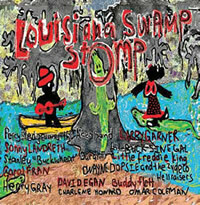 Our 2010 CD was the Louisiana Swamp Stomp, a compilation of some great artists coming together, inspired by Buddy Flett and Carol Fran, two Louisiana musicians who had neurological injuries. Honeybee Entertainment has more CD releases of American blues planned for the near future. If you'd like to be notified when the next CD is available, please email us and we'll keep you informed.